Isiah Factor | The Insite » THERE IS A GOOD EXPLANATION FOR THE WEDDING CANCELLATION! THERE IS A GOOD EXPLANATION FOR THE WEDDING CANCELLATION! July 31, 2007 | Posted in Uncategorized | Comments Off on THERE IS A GOOD EXPLANATION FOR THE WEDDING CANCELLATION! AND IT’S NOT WHAT YOU THOUGHT! 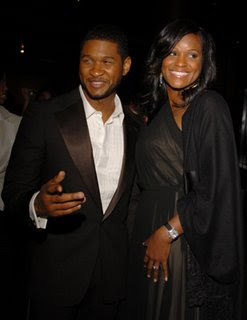 Usher and his pregnant fiancee, Tameka Foster, canceled their wedding last weekend, but they’re apparently still together. “As of right now we don’t have a date but we will let you know when we do,” he tells Usmagazine.com in a story posted Tuesday. “We’re good. We’re all doing great now,” Foster is quoted as saying. The 28-year-old singer and Foster, his longtime girlfriend, called off their wedding Saturday, saying no details about the circumstances of the cancellation would be released. The couple announced their engagement earlier this year, and later, that Foster was expecting Usher’s first child, due this fall. She has three other children from a previous marriage.